3. 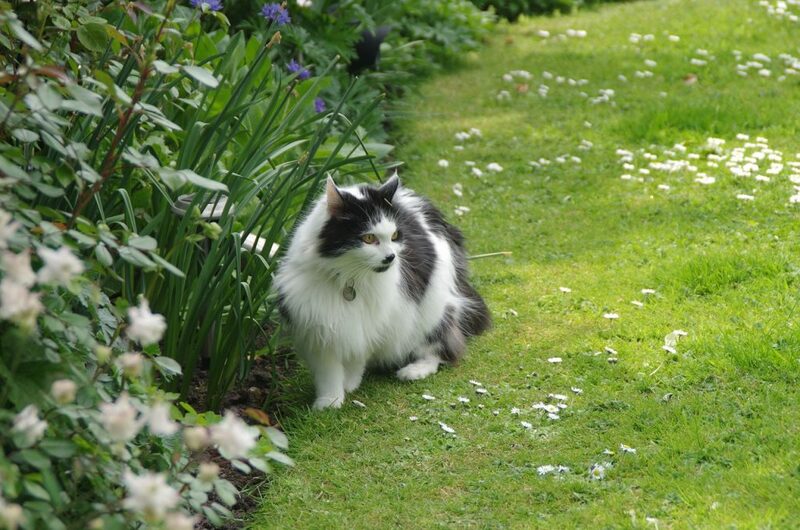 Choose a Specially Designed Brush – Why You Need Cat Brush for Long Haired Cats? Do you have a cat or kitty with a long hair coat? And your cats fur looks scruffy? …she seemed pleased with my offering and cleared the bowl in seconds. Once she was finished, she trotted to a sunny spot beside the window and started grooming herself. I stood transfixed, admiring her sitting there in a proud, queenly pose, bathed in sunlight. She had amazing fur; shiny and soft, it was beautiful to touch and to look at. Problem: My Cats Fur Looks Scruffy! Solution: I will show you my 5 smart strategies to reduce the problem to a minimum. But that was a long time ago, and things have changed. 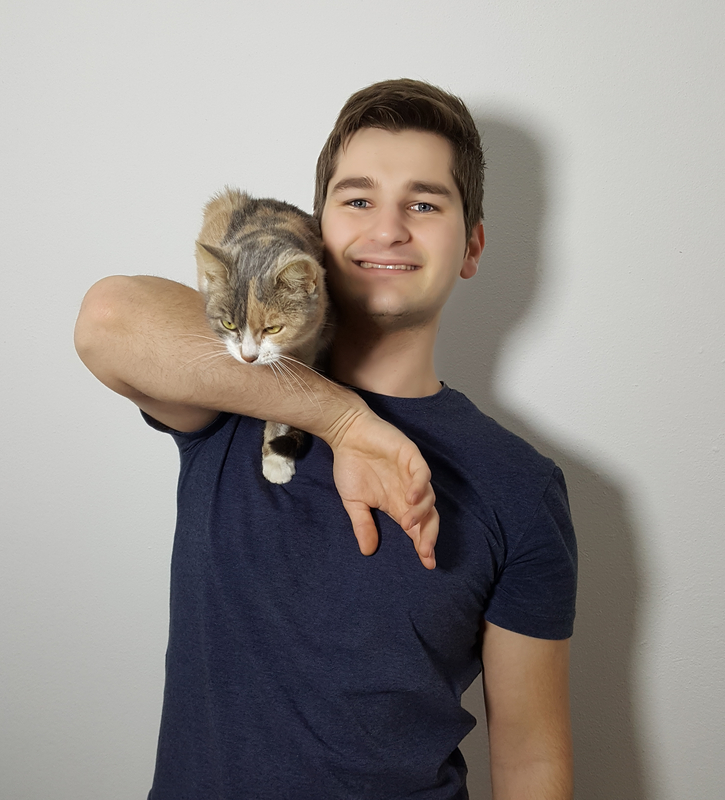 These days, I am owned by no less than six cats – all of them loving, cuddly beasts with a playful attitude, so there is a lot of mischief going on. 5 Helpful Tips for Keeping Your Long Hair Cat’s Coat Shiny and Healthy. When do you need to start taking care of your cat coat? How to make my cat’s coat shiny? As all cats, my furry overlords are fiercely independent and quite capable of taking care of themselves. However, the true facts about long-haired cats are that they require attention. Still, it is necessary to occasionally lend them a brushing hand, as they have extremely thick, dense coats that require a lot of attention. Dealing with cat hair is a never-ending battle that would require a lot of my time and energy if I hadn’t developed several smart strategies to reduce the problem to a minimum. As with all habits, starting early is the best way to go. Introduce grooming gradually, step by step, until you’ve established a regular grooming routine. In some cases, kitties will be completely unable to groom themselves on their own, which will make them extremely frustrated and unhappy. This is often the case with older cats or cats with teeth problems and other health issues. If that is the case, it’s even more important that they are used to regularly being combed by a practiced hand. 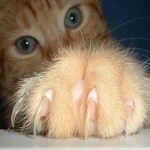 Cats are meticulously clean (and very vain) by nature, so you will want to do everything you can to keep them that way. In just a few seconds you will see why it is very important that you don’t skip routine. Cats are creatures of habit, so once you’ve established a routine, they will prefer getting groomed at an expected time. Choose the time of day when both of you are most relaxed and have the time to indulge in grooming. Don’t get to the point where your cats fur looks scruffy. In which direction you need to brush your cat hair? Brushing a long hair’s fur demands quite a bit of attention. Take care not to brush against the direction of hair growth, and also comb the undercoat. In case of knots and tangles, try not to pull too hard. Long-hairs tend to shed a lot, so there will be a lot of loose hair to remove. Don’t skip days – thoroughly brushing your cat’s fur on a daily basis will leave it with less hair to deal with, meaning it won’t cough up as many hairballs. Should I cut my cat’s hair? Do long-haired cats need haircuts? The answer is, of course, no you don’t. Take the proper care and your long hair cat’s coat will be shiny and healthy. So regular grooming long haired cats is one of the first things you must do if you want to take the proper care of your cat’s coat. In just a few seconds you will see why you should choose cat and kitty brush very carefully. It goes without saying that good tools help do a good job. If your cat’s fur is prone to tangling, using cheaper combs, brushes, and mat breakers can only make matters worse. Why it is so necessary that you choose the right brush? When selecting brushes and other de-shedding tools, go for quality products that are specially designed for long-hair cats, because it’s the only way to ensure proper combing. …that has not yet earned me a single angry tail swipe or a murderous glare. If, after an intense grooming session, you still notice rogue hairs flying around, give your kitty some extra loving – petting will not only be greatly appreciated, but it will also help remove extra hair. 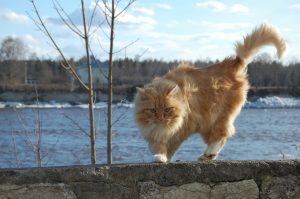 Ok, now let’s see one of the best cat care method which helps you to keep your long hair cat’s coat shiny and healthy. With the exception of Sphynxes, most cats don’t require bathing. That is quite fortunate, since most cats also despise being bathed, which is a fact every human servant is well familiar with (and has battle scars as proof). But if you let your cat outside on a regular basis, sooner or later a bath might be in order. Regular bathing of your kitty or grown cat is good and recommended. How to clean a cat’s greasy fur? How to make cat fur fluffy? How to make cats fur softer? What to do if my cats fur looks scruffy? What to do if my cats fur looks rough? What to do if my cats fur looks greasy? The cat bathing won’t be that much of a trouble if your cat is used to getting bathed from an early age. If it is not… Well, let’s just say you’re in for a treat. How to proceed with the cat bathing? Before engaging in a high-risk activity such as cat bathing, try cleaning your kitty’s fur with pet wipes. In case that doesn’t help, get a specially formulated moisturizing shampoo and conditioner and prepare a small washing bowl, because you do not want to fully submerge your cat in water if you value your life. The best way to wash a cat is to soak a sponge with shampoo and gently wipe the dirt off its fur, making occasional breaks for combing as necessary. 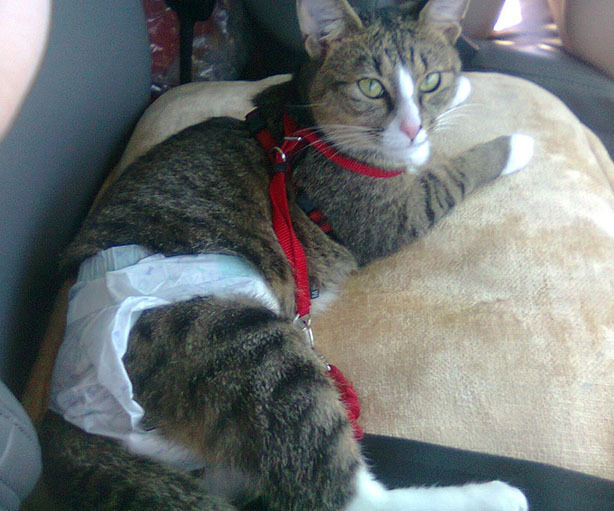 Ok, now let’s see how to avoid cat fur problems as well as the cat health problems. Cats are finicky eaters to a degree they can be considered snobbish. They can tell quality food from the junk with one quick whiff and half a glance, and you will be immediately informed if they found your offering adequate. 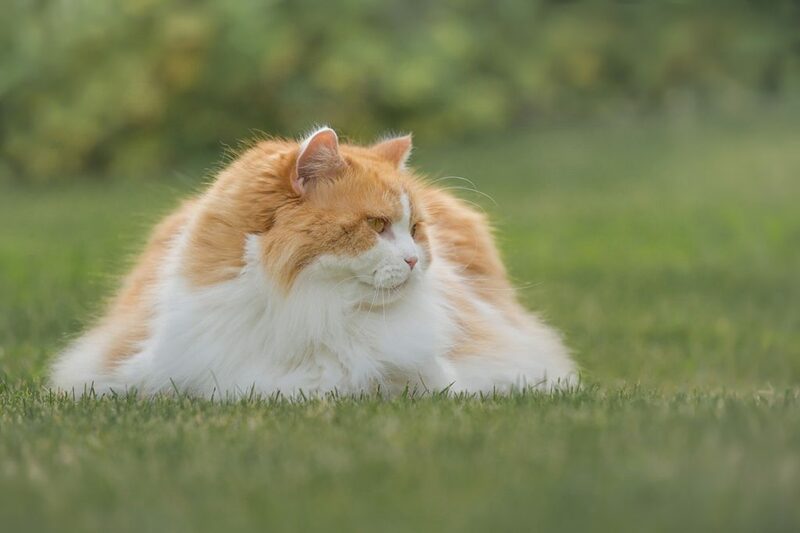 Which are the best cat food for a healthy coat? Which are the best cat food for a shiny coat? Proper, well-balanced diet rich in protein. Coat-nourishing ingredients such as Vitamin E.
Assuming that you’re already providing your furry overlord with the best-quality food money can buy. 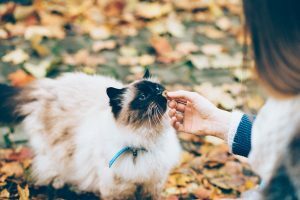 Are you looking for the best cat food for skin and coat? If so you can go step further and look for special wet and dry foods for hair and skin care. 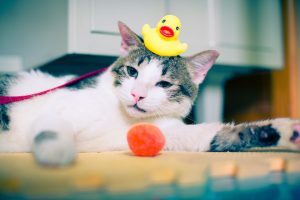 To introduce some variety and prevent your cat getting bored with a monotonous diet (which will inevitably happen), you can also prepare some simple raw and cooked meals at home. In this article, I showed you How to make my cat’s coat shiny? I know the long hair coat cat breeds are beautiful but you need to ensure proper pet care to keep your cat’s & kitties beautiful and health. Fur is a great indicator of your kitty’s overall health: healthy fur means a healthy cat, and a healthy cat is a happy cat. 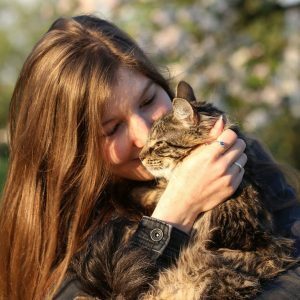 Of course, a happy cat is also a loving cat, so if you’ve invested a lot of care in your kitty’s well-being, it will be quick and very eager to demonstrate its thankfulness.